New Apple iPod Classic 7th Gen 160GB/120GB MP3/4 Player Black/Silver - "Sealed"
The iPod pictured is the one for sale.signs of use, scratches, dinks etc, see photos for actual iPod listed.will include a USB cable to sync your ipod through iTunes. ( Nickelodeon SpongeBob ). Music Mixer - shake your player to the beat and blend sound overlays with your favorite tuner. Apple Ipod nano 7th gen 16gb Silver. Fully Functional! I only see a couple light scratches on the back(barely Visible). 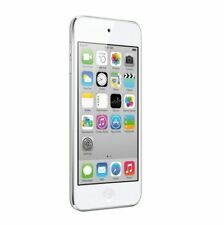 Apple iPod nano 4th gen 16 GB SILVER. Up for sale is a pre-owned Apple iPod nano 4th gen 16GB, silver color, in perfect working order. NEW Battery with New Cable ~~Fully Working~~. What you see is what you get, shown is the actual item you'll receive. 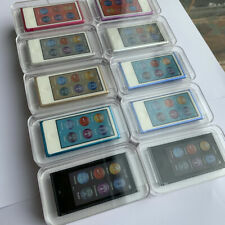 iPod Nano 4th Generation 8GB Silver Model No. A1285 Works Great. I have lost the cord. It is loaded with classical/ symphony/ Micheal Buble’/Frank Sinatra and more. Condition is Used. Shipped with USPS First Class Package. Trending at $40.96eBay determines this price through a machine learned model of the product's sale prices within the last 90 days. IPod is in excellent condition with light signs of use including light scratches on housing, light bends on a corner as well as light scratches on the screen only visible when the iPod is off. If you have any problems we will replace your item. New ListingApple iPod Classic Silver 120GB 7th Gen - New Battery Works Great! IPod has passed a high-standard comprehensive test which covers all aspects of the iPod's functionality. iPod is in the condition as seen in the pictures! New battery installed and works great! Apple iPod touch 5th Gen Blue silver a1421 lot-3- Locked. Apple iPod Classic Silver 120GB 7th Gen - New Battery Works Great!